With this amazing The Minotaur Bloco foam building set you can follow the instructions to create 2 detailed minotaurs or let your creativity take over and create minotaurs based on your own imagination! 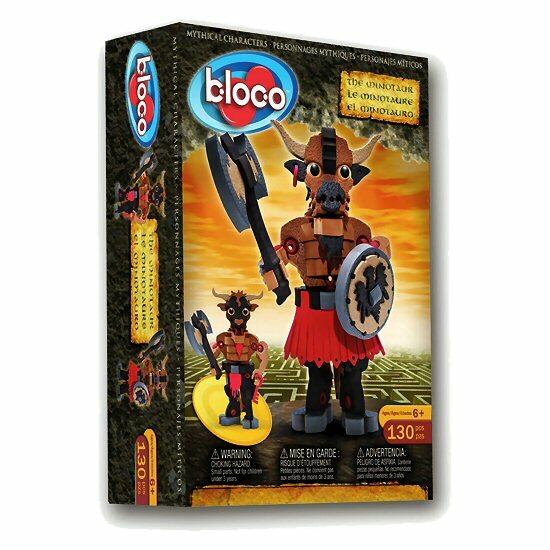 And once you've constructed them, these Bloco minotaurs are durable enough for imaginative play and adventure. Maybe you need this special creature to guard your castle or take with you on a mysterious mission. The ability to take the minotaurs apart and start again provides hours of creative construction and play. The Minotaur is a beast from Greek mythology... part man, part bull. 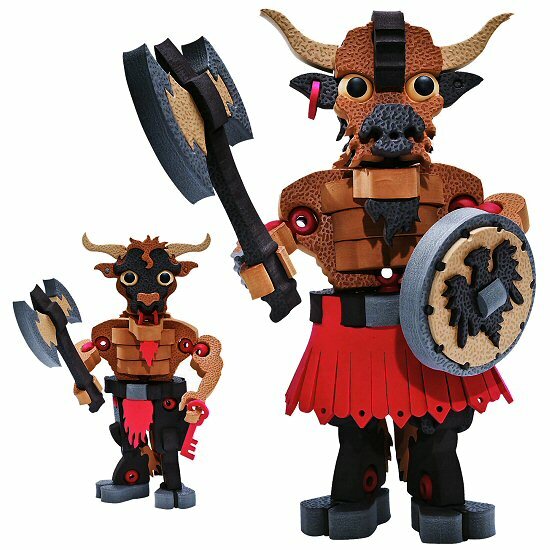 Bloco Toy lets you use different parts to build a Minotaur the way you imagine it. Tough or funny looking, mean or cute... you decide what your Minotaur looks like. Note: All models shown on box cannot be made simultaneously. This The Minotaur construction set can be combined with other Bloco foam building sets to create even more interesting creatures.